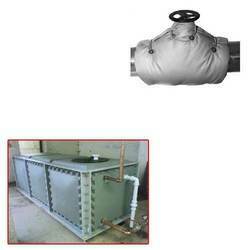 We are a leading Manufacturer of insulation jackets for cold water tanks from Noida, India. A one stop solution provider of different types of industrial needs, we offer a wide gamut of Insulation Jackets for Cold Water Tanks. These jackets are thoroughly tested by our quality controllers on various quality parameters to ensure their high functionality and widely used where current needs to be controlled. Under the strict vigilance of our adept professionals, the offered jackets are manufactured using superior grade basic materials with the help of pioneering techniques. Further, these jackets can be availed from us at nominal rates. Looking for Insulation Jackets for Cold Water Tanks ?